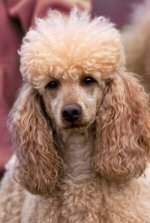 Before your poodle puppy comes home, you'll need to have certain puppy supplies in your house. A puppy will need bowls to eat and drink out of, a soft and secure place to sleep and lots of love. The dog needs to get used to his new home which could take up to two weeks. Then, it'll feel like it's always been home to her. Puppies, like babies, need home supplies that are suited to them and not to adult dogs. You can look at local discount stores to see if they have any cheap dog supplies, or check in your local pet store when they have sales. 2. Dog food bowl and dog water bowl - stainless steel is good. 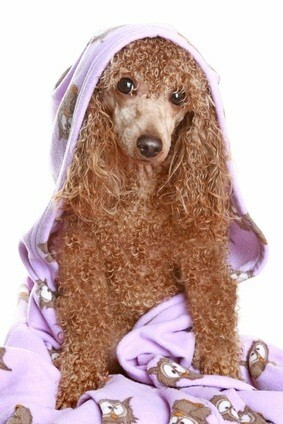 Get something that is easy to wash and is size appropriate for your size of poodle. Plastic bowls come in pretty colors and are unbreakable but they are harder to clean. Your pup will chew and could chew and ingest the plastic. Ceramic bowls are heavier but can break. Wash his food bowl after every meal. A bed - make sure it's snuggly, soft and washable. You may want to get a crate for her housetraining periods. If so, don't forget a crate pad. Choose a place for his bed. Dogs like security, and having his bed stay in one place provides this. Holly had an afghan I made and a blanket in a corner of our kitchen. This was her place to nap and cuddle up. Toys - lots of them! Make them different types and colors. Don't forget teething toys. Don't buy any toy where there is danger of a part coming off and your puppy ingesting it. It could be a choking hazard. 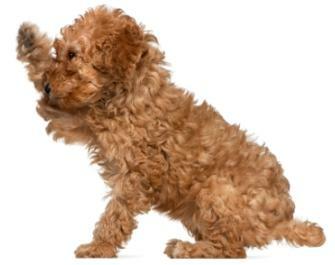 Your pet will probably have a favorite toy or toys, just like kids have a favorite teddy bear! Your pup needs something that is just his; his own security blanket he can take with him throughout the house and maybe sleep with. Holly had a teddy bear she loved to be around and a favorite squeaky toy. She also become fond of an old glove of my dad's. She loved an afghan I was crookedly crocheting so much it become part of her bedding! 1. Adjustable collar - don't put it on too tight! Be sure to check the collar regularly as your puppy grows so it's not too snug. 2. Leather leash - for that fun walk! 3. Dog tags - put your name and phone number on it. 4. Toddler gate to block off rooms you don't want him in. 1. Brush, doggie shampoo, toothbrush, doggie toothpaste, nail clippers, and ear cleaner. Ask your vet about flea, tick and heartworm products and if/when they should be used. 2. Pooper scooper for when you walk him. 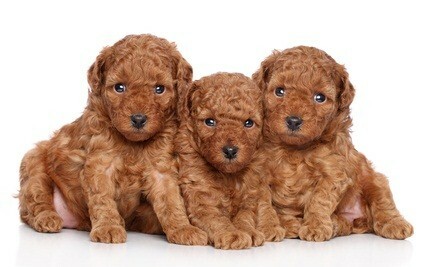 Bringing a new puppy home is an adjustment for the family as well as the puppy. By being prepared and having her puppy supplies on hand before she comes home, both you and your pet can make a stress free transition from a puppy free house to one filled with love.